A little blog about learning powered by technology. My domain is on rapid release, so if you don't have it in your Slides yet... Be patient -- audio is coming! 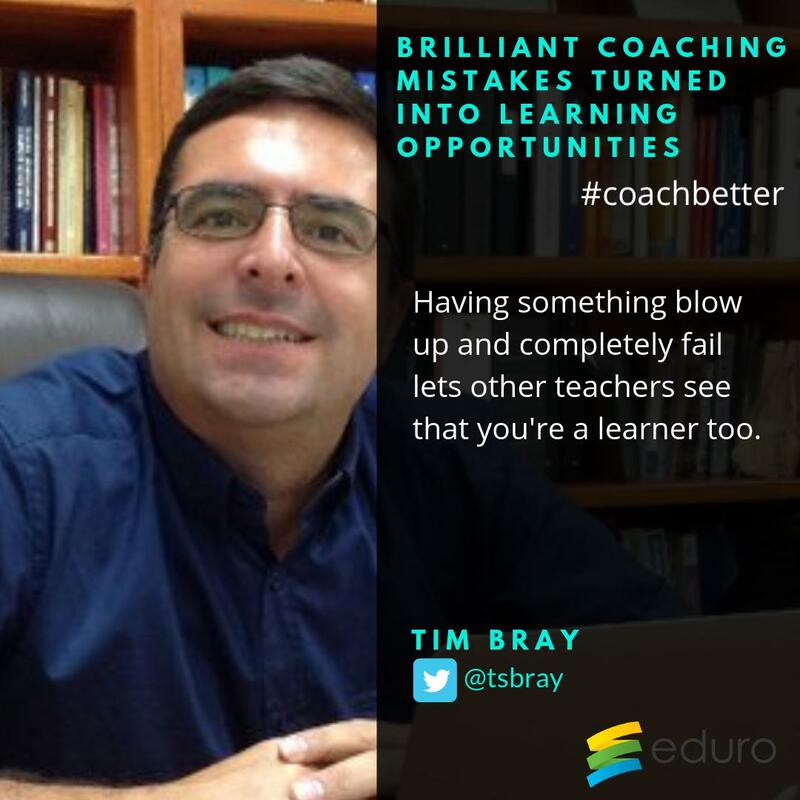 It was an honor to be quoted by the Eduro Learning team and to be a part of the Coaching Fundamentals Youtube series. As coaches and leaders, it is good for us to fail in public sometimes. It allows the faculty and staff to see that we are human and we struggle at times as well; plus, when we recover and don't let it get us down, it models the same thing we want them to do. It communicates that it is OK. Everybody has an off day; the point is to persevere, to keep going, to keep trying. If we want students to build grit and resilience, teachers and administrators need to model it. Kids need to see it. At #21CLHK11 I have the honor of meeting Juan Pablo Romero Fuentes in person and it was pretty amazing to say the least. I was so unbelievably impressed by his message and the work he is doing to make Guatemala a better place. He is incredible. It was humbling to the extreme. On the way back to Korea on the plane, I was talking with another person about it and was moved to tears. The man has been threatened by gangs in his neighborhood, but continued to educate children. When other people would have given up, he pushed on and he continues to move forward. For those of us who work with the wealthy children of Asia, it really hit home to hear a man ask, "But what type of children are we raising? Are they good humans? Will they be good people?" We go through our days with the blinders on. It is easy for us to be in our little bubble of privilege. Our kids don't worry about having food to eat or a roof over their heads or how they will afford to get pencils, pens, computers, books, or... Or you name it! They have everything available to them. And I would say that most have never seen poverty. Not really. They may have traveled to a developing nation and seen it, but they haven't really thought about it. They haven't had to really struggle. I'm happy that they haven't had to deal with the world that Juan Pablo's students do on a day-to-day basis. I'm happy they go to good homes at night and enjoy a meal of good food around a family that loves them in a place where they are safe from violence and crime. But... They need to know that world exists. They need to know that those people have dreams too. That those kids want to play, learn, and live. We are all humans and we all deserve a right to live with dignity, love, and respect. We can't just leave other humans behind. On the plane, I was talking with a woman who also pleasantly surprised me. When I was talking about the conference and Juan Pablo, she told me that she and her husband had opened a small school for migrant workers in Thailand. Thailand has a large population of construction workers who are from Cambodia. Usually the workers come for one or two years, so they often bring their children with them. But the children end up playing during the day, because their parents are working. So they began teaching the kids during the day. And after some time, they built a little school. Currently there are 70 students. 70 kids that have a chance to learn. That's how it starts. Someone decides to do something; to open their eyes; to take action. Since some things that have happened in my personal and professional life, I've sidelined myself a little bit. I've been on the bench waiting to get back in the game. Thanks to Juan Pablo and Julie, I want to get off the bench. I want to get back in the game of changing the world, because we can. We really can. Look around you. I know someone needs help. Choose to help them. We need to remember that if we all do a little, it adds up to a lot. I'll step off my soapbox now and end this post with some lines from the song Equal Rights and Justice by Peter Tosh. 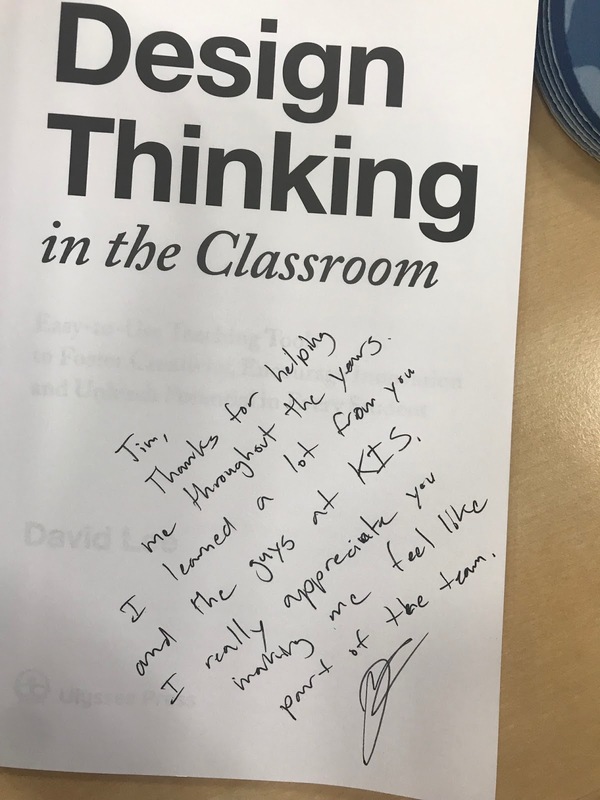 big deal in EdTech, but he is so humble and genuinely down to earth about the whole thing. As soon as he saw me, he gave me a copy of his book. Of course, me, being me, gave him a hard time about it because it wasn't signed. He smiled and laughed and then went ahead and signed it. But look at what he wrote to me... And the thing is I never felt like I did enough for the guy and I have always felt like I'm the one that grew from our relationship and work together. I felt like he was my mentor and I learned so much about working with elementary students from him. 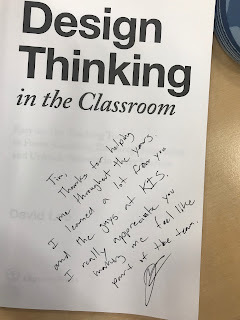 So David, if you read this, thank you! Thank you for including me in your PLN. You are a rock star, buddy. I miss working with you. But one big takeaway for me from the whole #21CLHK11 conference is the affirmation of PLNs. This whole community of people mentoring each other and collaborating with each other. It has the power to transform, gang. It really does. It is really easy to look at the world we are in right now and feel a little depressed. I still believe that social media can help us change the world. Sure, it has problems, but the upside is also really great. We just need to focus on the good stuff -- real human interactions and engagement with each other as educators. We need to continue sharing and collaborating whether it is face-to-face or online. Stay strong, support each other, and we can make things better. 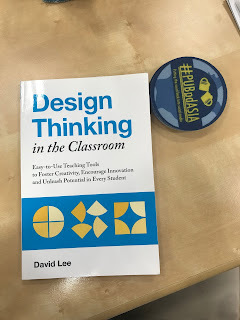 And by the way, Carlos (@clos_gm), did you like how I worked my #PubPDAsia swag into that photo of David's book? Blogging skill +10. 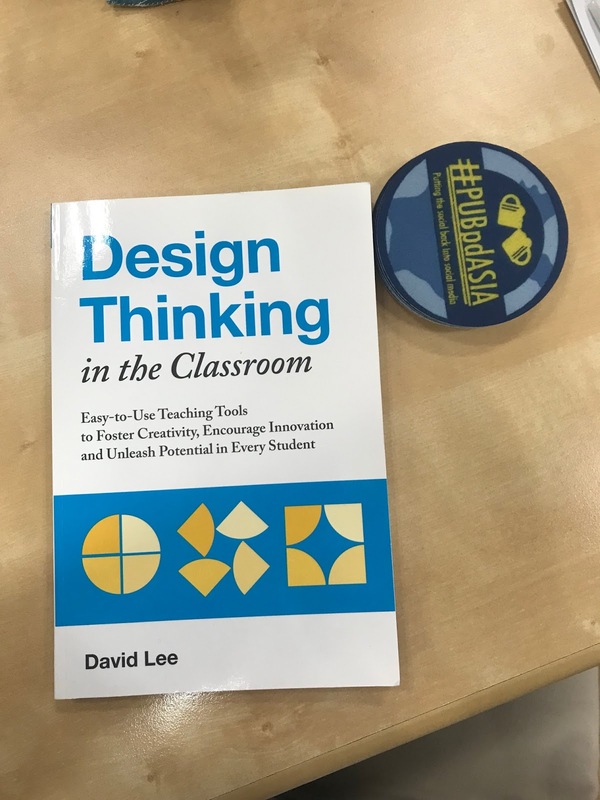 #PubPDAsia will be back on March 12, 2019. The topic will be Playfulness. I will be hosting a live event at Wembley's in Cheongna, but there will be live events all over Asia and of course on Twitter. Mark your calendar! Gather some colleagues! Grab an adult beverage and join the fun.